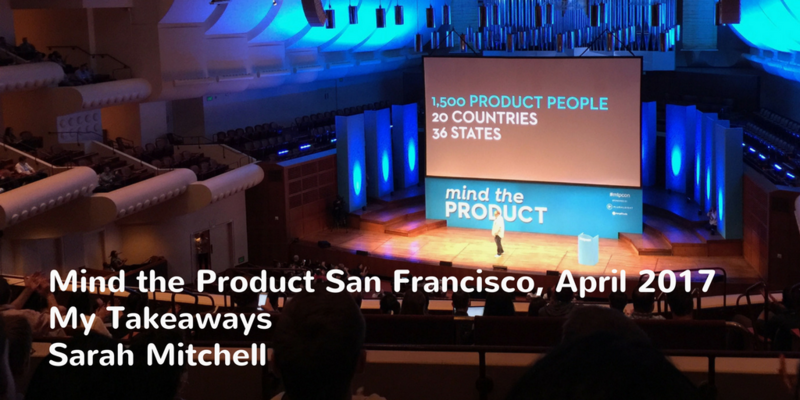 Here are my top 5 speakers from Mind the Product San Francisco, April 2017 and what I got out of their talks from a Product Management perspective. Recently I had the great fortune to attend the Mind the Product conference in San Francisco last April 2017. The conference was attended by 1,500 product people from across 20 countries. Here’s a quick summary of my top 5 speakers. AI makes it easier to interact with products and reduces the friction users feel, but on the other hand, when the product doesn’t work as expected, it can be frustrating. What can Product Managers do about that? Aparna recommends keeping in mind the AI when designing solutions for customer problems. Put in place some guidelines as to what the product can do to help frame expectations, work out the super powers you’ll give your users, and get product designers to think about the flows and goals you are trying to achieve and train your computer to optimise these goals. Lastly, think about what new capabilities are emerging and what product ideas can be derived from these new capabilities. Aparna used the camera and location capabilities on mobile devices to demonstrate this point, Snapchat wouldn’t have existed without these capabilities. Our lives as Product Managers are full of contradictions. Dave Wascha, Chief Product Officer at Photobox, highlighted some of the judgement calls Product Managers face on a daily basis and shared it with the Mind the Product audience. Listen to the Customers: Listen to your customers or you will end up building products that customers don’t need/want. So many product managers still don’t listen to their customers. Don’t Listen to the Customers: There are times when we shouldn’t listen to the customer – like when building solutions. Watch the Competition: This can help us to better understand the problem. Use competitor feedback via reviews and Facebook to gain customer insights. Don’t Watch the Competition: You can get caught up in the race to beat the competition but ask yourself, does the latest improvement solve the customer problem? Get Paid: When working on your product always keep in mind, will anybody pay for this? Does it solve a customer problem that they will pay to have solved? Say No: Only agree to things that make a better product and solve a problem. Don’t Say No: Be open to suggestions even if they are hard to accept, maybe from someone we don’t like or because we are protecting the team. Be a Visionary: Product Managers need to be obsessed with their customers. Don’t be a Visionary: A Product Manager can’t BE the customer. 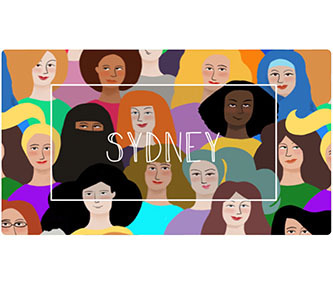 “A Product Manager who thinks he knows the customer is like a male gynaecologist”. Josh Elman – How core users provide clues to creating… well more core users! His answer was to focus on core users and their behaviours. He called these core users “superheroes”. To find these core users you need to find out what their purpose is – the core action and the cycle of when they use your product. “Take apart that cycle of when people use your product before you start looking at the data.” Use your own thesis of what actions you expect, to start this journey. Use the data to tell you the story of the core user. Once you have found these core users you can then look to see what is special about them. What is getting them to come back? Not enough users signing up. Clone your core users to get virality. Get the core users to show other users how they should use your product. People sign up but don’t stick around. Onboard users all the way to the core – change the notion of onboarding. It’s not just that initial contact but rather their first week of experience with your product that’s all important. Educate them via emails and training on how they can use your product. Use your active users to teach and connect with other users. People stay but only for a little while. Keep iterating on this. Use the data to tell the story. Focus on your core user. “The world is changing and the pace of change today is slower than it will ever be for the rest of your life. It is the easiest it will ever be.” Janice Fraser, Senior Vice President at Bionic told the Mind the Product crowd. If you are at the top – Hunt down and get rid of the zombies (the projects/start-ups that are not successful), take 10 ideas at random, choose your top two and deploy your best people from the zombies on those. 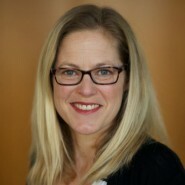 If you run an innovation lab – reward learning, drive your team using questions based leadership – ask questions to get the team thinking about how to resolve problems themselves, this in turn gets the team invested in their goals and the work that needs to be done, and support your teams’ quest – back them up. If you are an internal entrepreneur – create a team based on their combined skills not a team of individual high performers, look at how well they will work together to achieve the team goal, value team effectiveness over individual contributions and believe in the team. Josh Seiden and Jeff Gothelf, – “What happens when you enforce bad policy? – John Deere Case Study. The hero of this Mind the Product presentation was today’s farmer – who is now farming larger areas than ever before. Today’s tractors with their advanced software systems mean farmers can now farm 2,500 acres in the time that it used to take to farm 500 acres. Josh Seiden and Jeff Gothelf, co-authors of Sense and Respond share another side to this story of progress. As great as this development was, the progress made has come at a cost to equipment manufacturer John Deere. There has been a reduction in the number of farmers and therefore fewer tractors are needed. And that (among other things) has created a decline in tractor sales. In this environment John Deere’s business model shifted to focus on maintenance. John Deere created an “implied license agreement for the life of the vehicle to operate the vehicle” and software that prevented farmers from making any repairs themselves. This meant farmers could no longer do repairs to their own vehicle, instead having to call an authorised John Deere agent to come to fix the vehicle. When you have a crop to harvest, a broken tractor and an agent not able to come out to fix it before the rain sets in, you look at ways to get around your problem. A hacker from Eastern Europe supplied a work around. The lesson for Product Managers is “When you enforce bad policy, people will work around that policy”. The question for the audience was: “How will the story end? You can find out more about their book here Sense and Respond: How Successful Organizations Listen to Customers and Create New Products Continuously. At the end of the Mind the Product conference I left with a feeling of excitement about the new frontiers ahead of us. As we harness the potential of AI, VR, and data I wonder where we will go from here? It feels as though we are on the cusp of something huge. Janice Fraser’s view on change really made me sit up and think. Previously, I had been thinking how quickly things were moving compared to 10 or 20 years ago. Viewing the rate of change from the perspective of now compared to the future was enlightening. But with this excitement also comes a wariness of the challenges that it will bring with it. Improvements in technology can better solve customer problems but we need to find a balance between user needs and business needs. 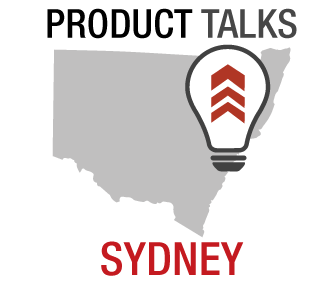 Why not read about Nick Coster’s takeaways from his trip to Mind the Product in 2014. 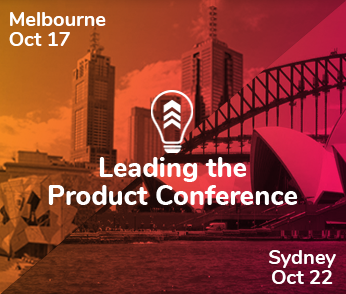 Creating a compelling experience for Product Managers at the Leading the Product Conference.